I may not have a lot to show for my efforts this week, but much progress has been made. I’ve been busily tracing, cutting out and ironing on pattern pieces for the last six blocks of Acorn Quilt’s BOM called Heart & Home by Heart & Hand. I couldn’t begin to tell you how many pieces I’ve cut out since starting the project,. All I know is that’s it’s been piles and piles and piles. I get so excited when I see the blocks coming together. I hope before long to have new pictures to share. Moving on to another topic, I had a wonderful time shopping last Sunday at the Backyard Quilt Shop in Fort Atkinson. After deciding to close their doors they began offering a 25% discount on everything in stock. Who could possibly pass up such an opportunity? Obviously I couldn’t. I was thrilled to find fabrics for two projects. 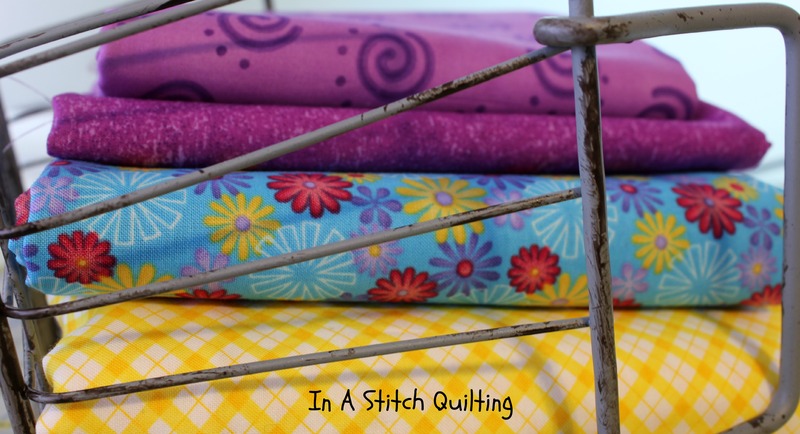 The first were these fabrics for a small quilt for my littlest granddaughter. The blue floral will be the main focus. Surrounding that fabric will be two borders. First in line will be the cute purple swirled fabric followed by the other purple one. Bringing up the rear will be the yellow and white specimen. I’m really looking forward to seeing this all come together. Constructing the simple quilt should go rather quickly because the strips for the borders as well as the binding have already been cut. Stay tuned for notations on future progress. My second bundle of fabric was purchased to make the Sewing Caddy by Gina Allen. Both fabrics are used in multiple sections of the caddy. You will either have to use your imagination or wait until I have the organizer finished to see how I apply these fabrics. That’s about it for this week. 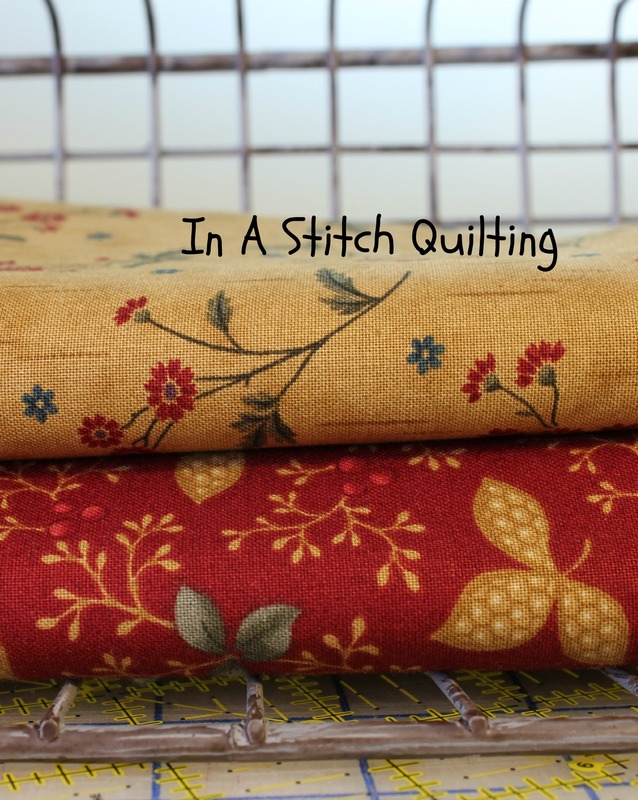 Stop back next Wednesday for more fun at In A Stitch Quilting. I’ve linked up with Freshly Pieced. Great fabrics! What fun finds. You sure have a lot on the go! Have fun! !